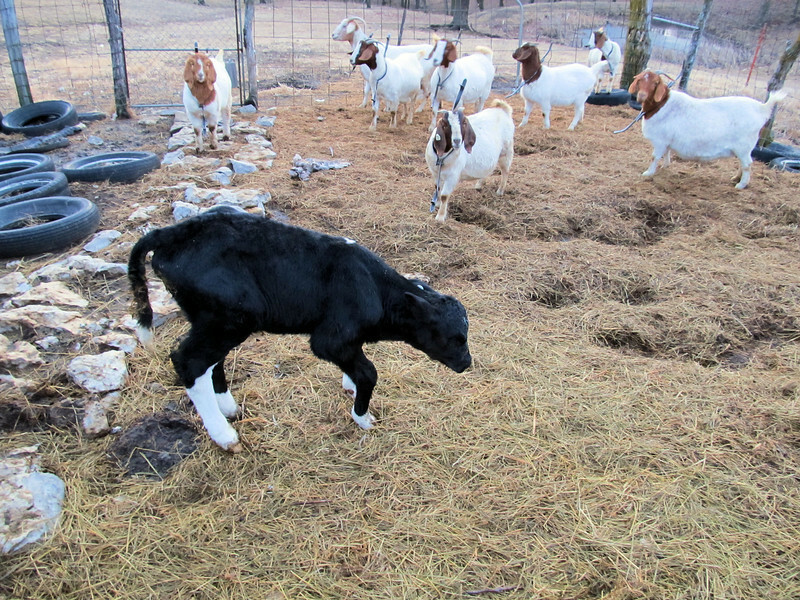 The Goats Get the First Look at Moo-Moo the Monster that has Been Terrorizing them for Several Days. The sun was to shine today so I got the calf to walk on out into the barnyard so he could soak some of it up and also get some exercise to help make his legs stronger. The goats don’t want to have anything to do with him.